Ships tomorrow if you order in the next 17 hours 7 minutes. 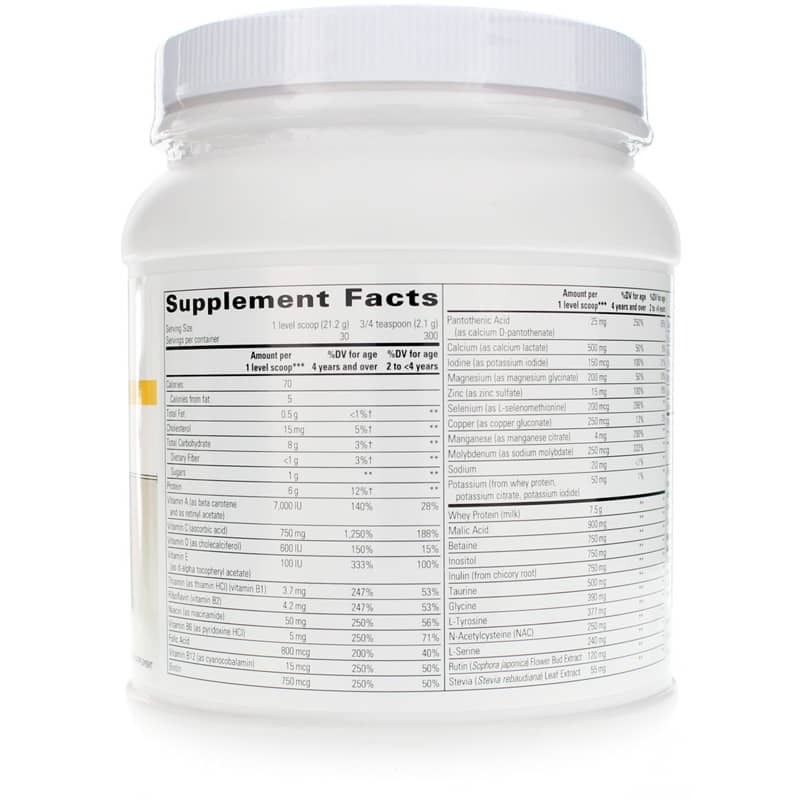 It is important to fill the nutritional gaps in your diet with a multivitamin. But not everyone has an easy time swallowing a pill. Thankfully, Integrative Therapeautics offers an easy solution. 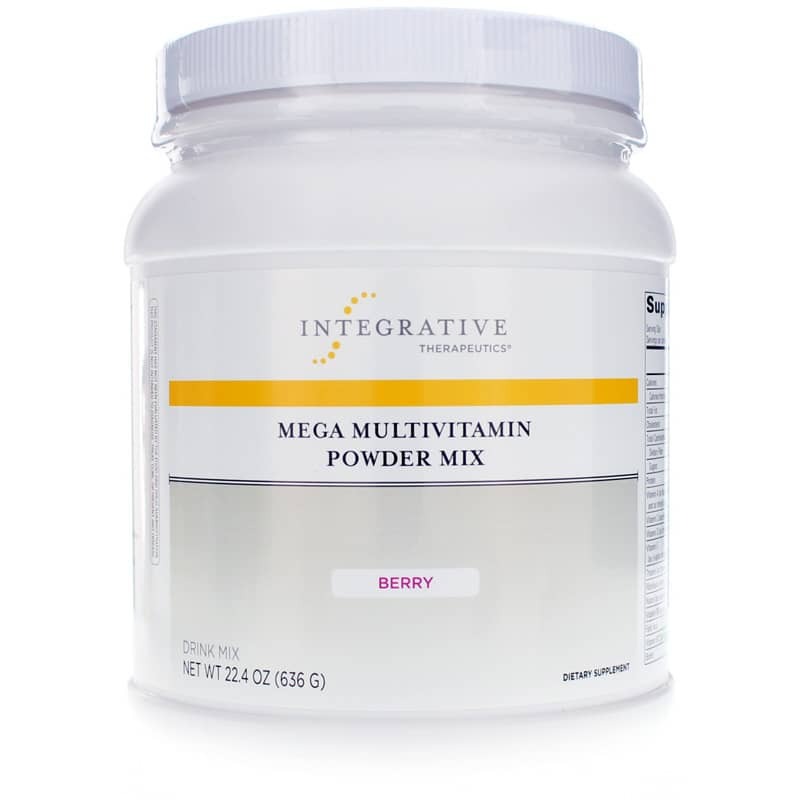 Mega Multivitamin Powder Mix is a berry-flavored powder that is packed with vitamins, minerals, and natural flavors for daily nutritional support. 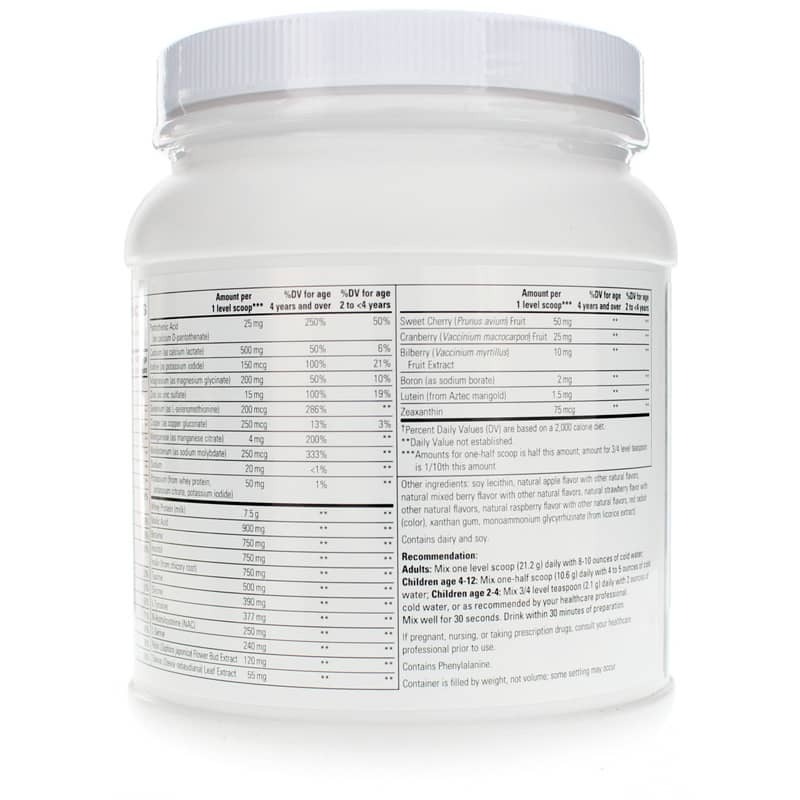 This comprehensive formula provides 13 vitamins and 10 minerals. Fill the gaps in your diet and get all the benefits of a regular multivitamin. Try Mega Multivitamins Powder Mix Berry. Other Ingredients: natural flavors, guar gum, vegetable juice color, soybean oil, and soy lecithin. Contains NO: yeast, wheat, gluten, corn, artificial flavoring or preservatives. All colors used are from natural sources. Adults: Each morning, mix 1 scoop with 12 oz. of water, your favorite beverage, smoothie or yogurt. Drink within 30 minutes of preparation.